PROPERTY IS UNDER RENOVATIONS The 48 room Super 8 Motel in Essex, MD is in a great location to enjoy all that Baltimore, MD has to offer. Within 10 miles to the motel you will find Camden Yards, home of the Baltimore Orioles, White Marsh Shopping Center, home of the outlets malls, and Johns Hopkins University. 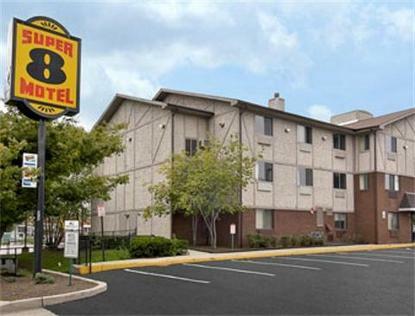 Whether traveling for business or pleasure this motel can meet all your needs. After a great night sleep in one of our comfortable rooms we invite you to join us for a Free Superstart Breakfast and you can access Free High Speed Internet Access from anywhere in the motel. Some of our other amenities include AM-FM Alarm Clocks, Hairdryers, 25in TV with over 50 Cable channels to choose from including CNN, ESPN and HBO. Just ask at the Front Desk if you need a microwave, refrigerator, or iron and board. We hope to see you along the way.